The world is now experiencing a parting of ways between sectors of the population no longer resonating with each other. It is a realm split, a cleaving of collective fields into several smaller ones. Experiential catalysts are pushing people off the fence, forcing them to discover who they truly are and what they stand for. Their soul vibrations are purifying and intensifying, bringing a retreat from the superfluous and a return to destiny. What was once an emulsified mixture of diverse realms is separating into layers, and when the cup tilts it will be the lowest density layers that spill down the drain. The polarization phenomenon begins with mutual disinterest between individuals of uncommon paths. There may be confrontation and separation, or circumstance may simply bring a gentle parting of ways. But as time goes on and people gather into their most harmonious collective realms, the chasm between these realms will run so deep that eventually even the collective sharing of perception and experience will be severed. The learning requirements of each collective realm may become so mutually contradictory that they can no longer share the same space, the same timeline, the same density. This would entail a timeline split, each major realm following a different trajectory into the future that best accommodates the collective learning needs of its inhabitants. What tilts the cup remains to be seen. Of course not all is predestined. There are chaotic factors left to freewill. 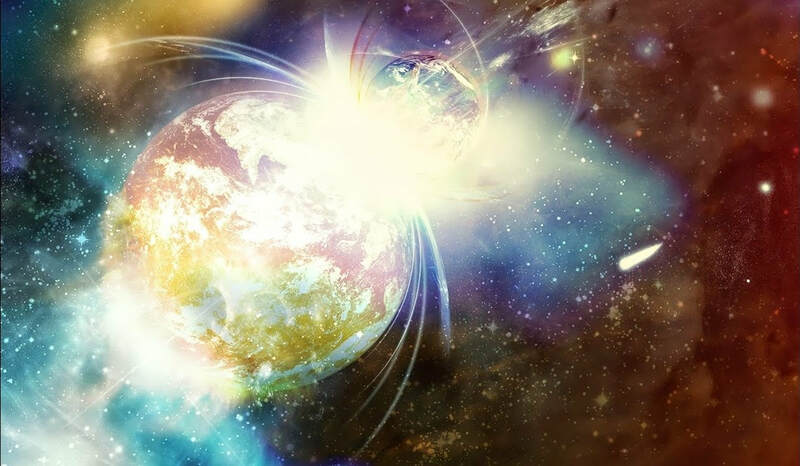 Some hyperdimensional forces aware of the impending shift are counting on mass frequency suppression to lock mankind into a probable future where these forces reap maximum energy harvest and retain control, whether in this density or the next. This may involve anything from mass loss of life to genetic assimilation and spiritual enslavement. A collective choice to elect such a scenario would acquiesce sufficient freewill to give such forces free reign to rewrite history in order to expand and solidify control in the present and future. To an extent this has already occurred and the world as we know it today is the end result of the most recent timeline revision. And yet time marches on and the “final” future is still open. This brings us to what we as individuals can do. The wiser sources say we should simply be ourselves, remember who we are and radiate the essence of our soul. Indeed, we are frequency anchors. The vibration we hold determines the realm we establish, and our realm contributes to the collective realm. There are frequencies of suppression and frequencies of liberation. By exultantly living from your heart you not only set an example for others, you also help lift the heaviness of the local and global collective realm. Nothing lifts gravity like levity and love. This assists those who would otherwise be subconsciously crushed by the prevailing low frequency fields. It is commendable to take action and do something when called, but in the meantime simply hanging onto your center is enough. This sets you on the high path beyond the reach and sight of darker elements and clears the path for others to come with you. Keep your poise through the turbulence and cling tightly onto your mast when the sirens beckon you overboard. Shine as a lighthouse amidst the fog."